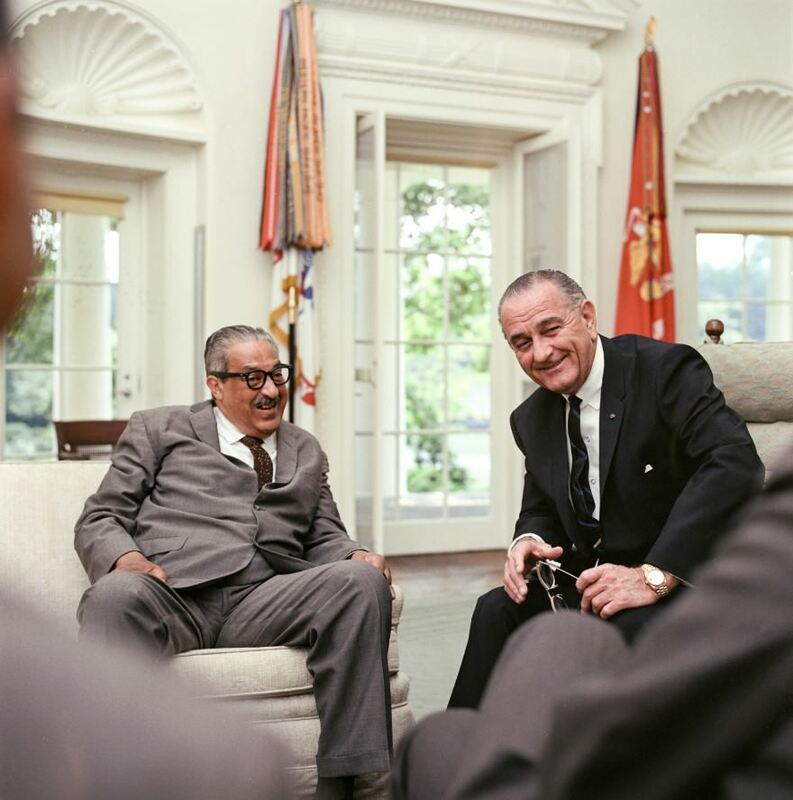 Thurgood Marshall in the Oval Office on the day of his nomination to the Supreme Court by President Lyndon Johnson. June 13, 1967. Photo by Yoichi Okamoto / LBJ Library. A few years ago I did some work with a colleague on LBJ’s appointment of Thurgood Marshall to the Supreme Court. The New York Times then drew on our work in part for an editorial. Some time later I heard from a fellow historian who asked about the chronology of Marshall’s appointment. It turns out the precise dates of what happened when isn’t readily available online, so I did some digging and put together a brief chronology of the major milestones of Thurgood Marshall’s nomination, confirmation, and appointment in the summer and fall of 1967. Here’s the timeline. Marshall retired from the Supreme Court on October 1, 1991. President George H.W. Bush nominated Clarence Thomas as his replacement.